“I am delighted to provide an update on our recent drill programme at the Naton Project in southern Burkina Faso. Our team has worked tirelessly to define drill targets, plan the drilling and complete the 1077m that will provide an important understanding of the geological makeup and geochemistry of the four targets. “It has been highly encouraging to see that the holes have intersected altered lithologies and that we have been able to identify a new geochemical anomaly at the Kwademan prospect. We aim to drill this target in the second half of the year. “We are excited by the progress at the Naton project and look forward to updating the market on further developments and results”. 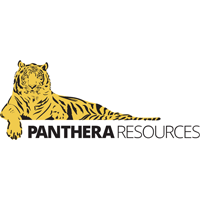 Panthera Resources PLC (LON: PAT), the gold exploration and development company with assets in India and West Africa, is pleased to provide an update on its drilling activities at the Naton Project in southern Burkina Faso. The initial drilling program at the Naton project has focused on four targets in three key areas; Somika Hill, Bido Vein and Old Orpailleur. The company has focused on the Somika Hill prospect, which during previous exploration produced rock chip samples of up to 7.14 grammes per tonne. Click PAN for the full archive.